MANILA—Twenty years on, the International Conference on Population and Development (ICPD) retains its relevance, the 7th Asia-Pacific Conference on Reproductive and Sexual Health and Rights is affirming this week. The ICPD's "call for human rights-centered development, whose heartbeat is sexual and reproductive health and well-being, continues to be the most authoritative account of what the world needs to do if it is to be sustained in the face of the changes and challenges it faces," said Kate Gilmore, Deputy Executive Director of UNFPA, the United Nations Population Fund, at the conference opening today. That view is being borne out in dozens of statements, seminars and presentations covering the broad range of issues addressed by the 1994 conference in Cairo. Two thousand delegates from across the Asia-Pacific region are taking part in the NGO-organized, biennial regional review of progress in implementing the ICPD Programme of Action. The aim is to identify good practices in promoting sexual and reproductive health and rights, as well as new strategies that can sustain the Cairo agenda as the international community develops a new post-2015 development framework to succeed the Millennium Development Goals (MDGs). That agenda remains controversial, particularly in the Philippines, and opponents have tried to shut down this week's conference. Organizers actually had to go to court today to fight a legal attempt to shut down the conference, a complaint filed by a group claiming the meeting is promoting abortion, which is illegal in the Philippines under any circumstance. Today's keynote speaker was Dr. Nafis Sadik, the renowned former UNFPA Executive Director and secretary-general of the ICPD. She said the international consensus at Cairo made individuals "the agents and not the objects" of development and "showed there is no contradiction between development and human rights". That consensus "starts with the elimination of extreme poverty; it starts with a woman; it starts with a girl," she stressed. Dr. Sadik offered a candid assessment of achievements since 1994 but also of unfinished challenges. Maternal mortality has been reduced by 40 per cent worldwide, less than the 75 per cent reduction in 20 years that the ICPD called for. Deaths due to unsafe abortion have not declined at all. Fertility rates have fallen sharply, but the number of women with an unmet need for contraception has not, and family planning has slipped in the global development agenda. Philippines’ Health Secretary Enrique Ona illustrated the ICPD consensus in practice, speaking about his country's efforts to ensure that poor people can access health services. He voiced confidence that the progressive reproductive health law enacted last year would overcome legal challenges and be implemented. "We have relentless patience in explaining the value of sexual and reproductive health," he said. Dozens of plenary sessions and expert presentations are taking place at the conference, which will end on 24 January. 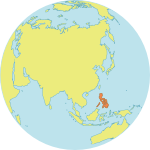 They address a wide set of ongoing and emerging health challenges in Asia and the Pacific and its subregions, including maternal health, family planning, HIV and AIDS, and humanitarian emergencies. The neglect of young people's reproductive and sexual health and rights has been given extensive attention, starting with a one-day youth conference on 21 January and continuing throughout the week. "Rights violated, rights denied and rights derailed are undermining development," Ms. Gilmore said in her speech. "No development formula or economic advancement strategy can afford to ignore this," she concluded.